Hi, I’m Ben. I’m a freelance web designer and SEO consultant based in Essex. I’ve worked with various businesses from startups to enterprises with a focus on creating stunning websites and the ability to bring in new customers and ramp up sales. With a core focus on using WordPress as a content management system I have a mix of experience in designing both ecommerce and content-driven websites. Using core elements of your search engine strategy I can work with you to create a content plan that will not only get high quality links, but will convert and build brand awareness. Aimed at improving your search engine positioning , helping you outrank and outperform your competitors, driving traffic to your site that converts. I’ll help you to create posts that inspire, educate and entertain your audience. Achieve huge brand awareness, generate app installs, drive customers to your website and more. Take a moment to view some of my latest work. I have experience in a wide range of involvement with my client’s websites. Everything from web design, web development, consulting, maintenance, graphics, marketing, and everything in between! Human Research is a London based Lifestyle Magazine, covering style, travel and photography. I have worked with Peter to customise his WordPress website as well as provide search engine advice and improve the crawlability of his site, thus, in turn, improving traffic. 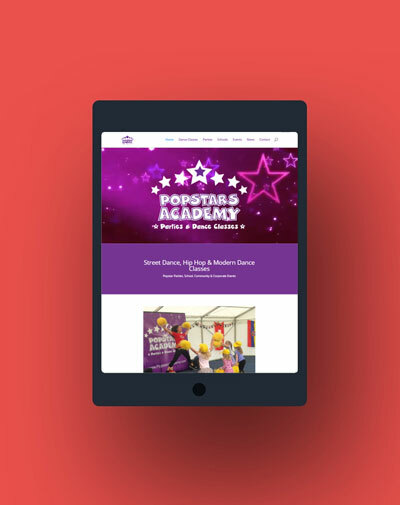 Popstars Academy offers dance classes and parties. I’ve worked with Hazel for a few years, re-building her website from the ground up, managing her domain, content, hosting and email services to create a simple yet effective site for users to book dance classes.